Growing Little Minds: We're on a Roll! 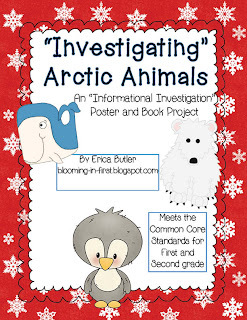 Over the past several weeks, my students and I have been working on informational writing. We made snow and wrote about how to make a snowman. We made peanut butter and jelly sandwiches and wrote about how to make PB&J. We made informational posters about animals we researched. And then we wrote informational books. And if I say so myself, they are awesome! I worked with my kids on their books, of course, and I have helped them through the whole process, but I actually sat down on Friday and looked at their completed books, and I am so proud of them! I was just so impressed and blown away by what I saw, I actually had tears in my eyes. Silly, I know, but we've spent so much time working on these, and they've worked sooooo hard, that I was so proud to see what they've accomplished. I still have about 6 or 7 kids who have to finish up their books, but they'are all almost finished with them too. I can't wait to see the completed product! Or share them with their parents on Wednesday during our Writing Celebration! 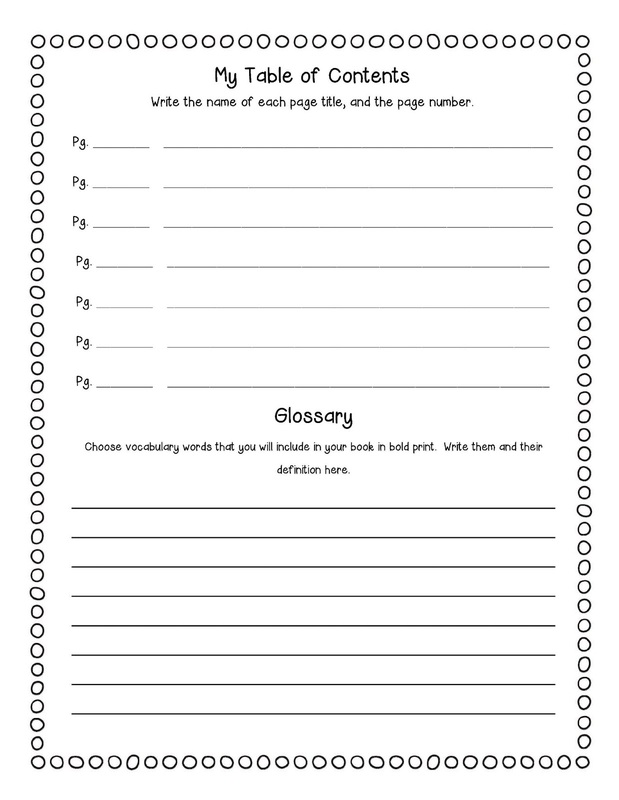 We have been using this unit that I have in my Teachers Pay Teachers store. We did a lot of the "research" on the different animals together, and read a whole lot of informational books at the same time! 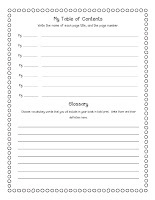 The kids each had their own sheet that they used to take notes. We made posters first, almost as a sort of concept map to help them, but not quite. The posters were awesome! Then we started working on the books. 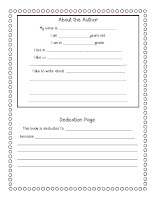 Each student had a "sloppy copy" page that they did their writing on. I gave them back their posters to help them figure out what to write. They wrote their sloppy copies, and then we planned their Table of Contents, Dedication Page, About the Author Page, and Glossary pages. Once they finished their planning, then we worked on putting their books together by coping the sloppy copies onto the "clean" copies. Once the kids copied their writing, they got to copy their Table of Contents, Dedication Page, About the Author, and Glossary pages. 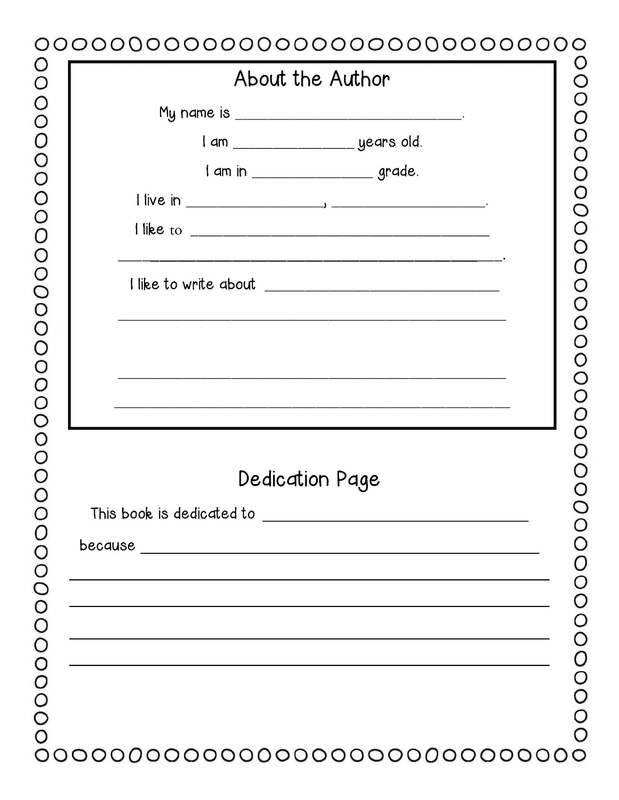 I used the half page books to conserve paper! But I have whole page and half page books included in my unit pack. Cover pages. Love the cute pictures! Check out the diagram on this page! I can't believe this kid used a diagram! Holy cow! We briefly discussed them, but we didn't go into great detail about them, so I'm amazed. Love their writing and I love the fact that several of them used labels on their pictures even though I didn't tell them they had to. I don't even think I mentioned it! These labels say "no fur" and "some fur". So cute. Notice the underlined word. It's defined in his glossary. I love the bear cubs in the den! Love the adorable picture of the mother polar bear and her cubs, and the fact that this little one knows what a mammal is! I also love how the other student underlined 2 words on this page for his glossary! From one of my strugglers... I love her penguin. 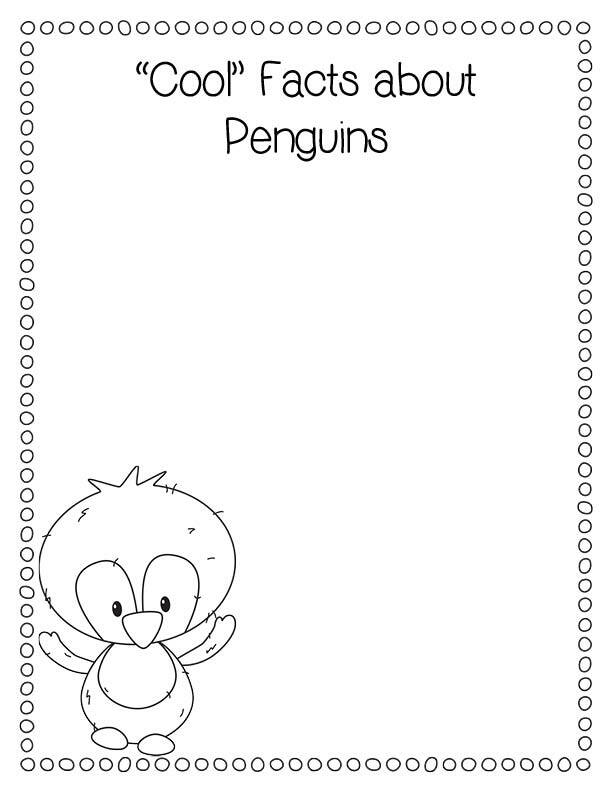 "What Penguins Like To Do"
We also included About the Author pages. I wanted my students to feel like real authors, so they got to make this page. 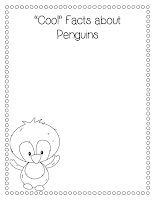 It's lined out on the book planning pages, so the kids just had to fill in the blanks and then copy the whole thing onto their clean copy. I thought this was a good way to give them the opportunity to do this without getting 2 sentences about the kid. I know how first graders are! I love how this kid said he wanted to "help the Earth" and had a picture of himself throwing away recycling. Adorable! And this was before we read The Lorax this week and talked about helping the Earth! They also put a glossary in their books! We talked about how the reader might not know what the different words mean in their book, so they had to choose at least 2 words to underline in their book and put the definition in their glossary. Their definitions aren't what you'd find in a dictionary or anything, but I think it's a good thing they got the experience! They are going to share their books (and posters) with their parents on Wednesday during our "Writers on a Roll" celebration! I can't wait for these parents to see how smart their kids are! I haven't exactly decided how they are going to share their books on Wednesday, but I'm thinking they can read the actual writing in their book, and then they can show their parents their books afterwards. I would love it if there was a way the parents could walk around and browse the books, but I don't know if we'll have enough time. I am going to have the posters outside on our bulletin board, so the parents can check them out then. Another teacher had the kids read their books and videotaped them, then played the video on her Smartboard the day of Writers on a Roll. That might be a good idea, since most of my kids talk so silently that the parents can't hear them! After the students read their writing pieces, they get to go to the cafeteria and have cake and juice as a celebration of their progress in writing. We'll have another celebration called Writing Stars at the end of the year where the kids have to actually meet the writing benchmark; right now, they just have to show that they've made progress. We have already had one "Writers on a Roll" celebration back in the fall, so this is the second one this year. It's always fun for the parents to come in for an academic celebration. They all come in and take pictures of their kids reading. It's so fun. :-) In our school, we often have low parent turn out to events, but this is one that we always have lots of parents attend! Does your school have any way to celebrate your students' accomplishments? Wow! These are amazing! Your kids did such a great job on them. This is something they'll probably keep for a long time because of all the hard work put into them. I love them! Thanks! I think they are amazing too! I sure hope that you're right, that they will keep them for a long time!